Welcome to Sunjunkie! We are the UK’s Official Professional’s choice for fake tan and professional spray tan solutions. Our tanning products are used all over the world from the New York Fashion Week to high end Salon and Spa’s throughout the UK and Europe. Sunjunkie first launched their famous fake tanning products in the summer of 2006, since then our products have developed a reputation for giving the most naturally tanned complexion in every shade possible. All of our fake tan products are available in either a light, medium or dark shade. Sunjunkie fake tan is specifically formulated to suit every skin tone, whether you have a beautiful pale skin colour or an envious dark olive complexion, Our fake tan has the colours to match your skin type and tone. Choose from our bestselling products, our famous self tanning mousse available in a light medium and dark shade or our super fine spray mist designed to give you a natural streak free glow. 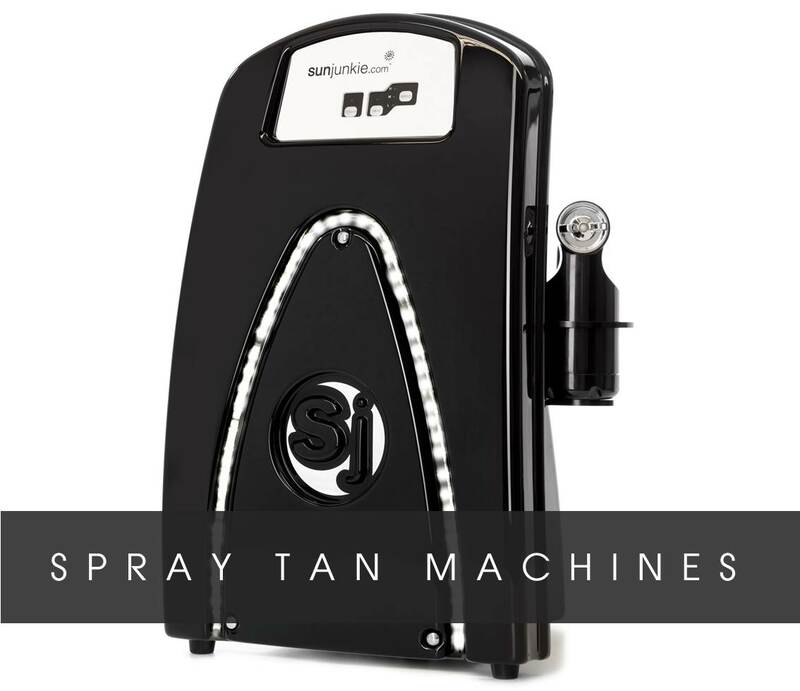 Sunjunkie spray tan solutions are the professional's choice for UK Salon and Spa owners. Our professional solutions are available in 5 different collections that each offer different colours and results. Our spray solutions are available in every shade from a light 6% to a deliciously dark 14%. We are the only UK spray tanning company to appear at the New York Fashion Week and continue to innovate and launch exciting new products into the tanning world. We are the market leader for spray tan machines and even produce machines for other tanning companies. Our spray tan machines are one of the only models that can produce an unlimited amount of spray tans daily without damaging the motor. We have a wide variety of different models and kits available to suit all businesses and budgets from our professional kit package to our beginner machine. Our machine kit packages include everything you need to start your own business from a pop up tanning tent to a wide range of our famous best selling solution and even comes with our full range of accessories to provide your clients with a professional service. Sunjunkie Company motto - Great fake tan is like great make-up, it enhances your look and minimizes your flaws... Something we have mastered!